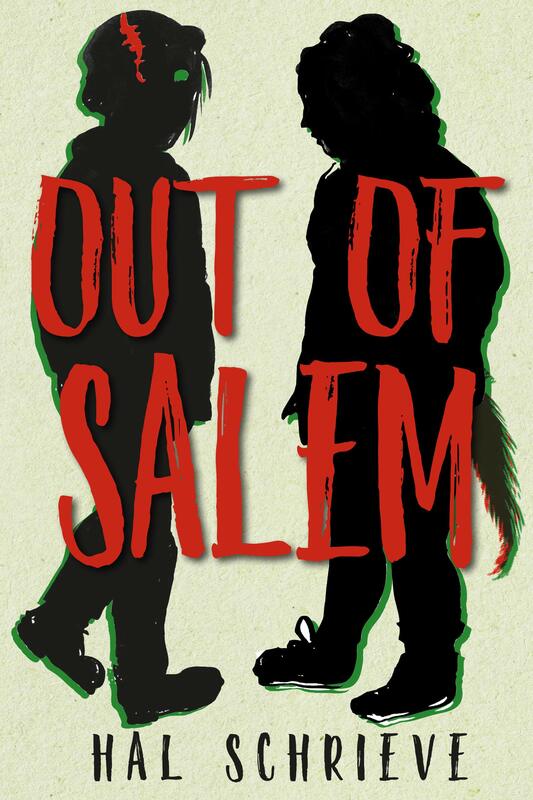 Two-sentence summary: This #OwnVoices book follows seventeen-year-old Evan Panos, the son of Greek immigrants who he knows couldn’t understand or condone him being gay. But when Evan has his first kiss at summer camp and finally finds someone who loves him for who he is, he runs the risk of coming out whether he likes it or not. Portrayal of LGBTQ issues: The Dangerous Art of Blending In follows Evan, a cis gay teenager, as he falls in love with his best friend Henry and comes out to his parents. His family comes from Greece and strictly follow Orthodox Christianity, with his parents reacting to his sexual orientation in different ways. While his dad is hesitant, he makes it clear how much he loves his son and tries to support him. His mom, on the other hand, seems to struggle with an undiagnosed mental illness and is both physically and emotionally abusive after he comes out and throughout his life because he has a strong feminine side. 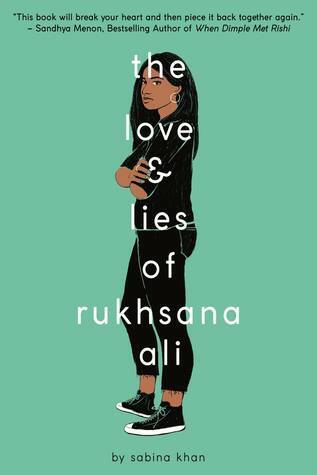 If domestic abuse is triggering to you, you may want to read a few more reviews before deciding whether or not this queer YA book is for you. While the depictions of abuse are pretty intense and difficult to read, they aren’t graphic, and Evan (without spoiling anything) is also eventually able to escape the situation. What I liked: Evan’s voice was so authentic and bold that it really drove the heart of this story. Part of this is because the author himself is gay and a child of Greek immigrants. The reason that Evan’s story felt so real was that in the endnote, Aurelis explained how so much of it had been based on his own experiences. 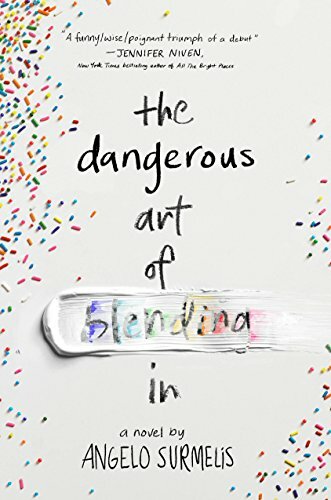 I think that this book is a reminder that sometimes “write what you know” can lead to unique and much needed voices coming through in LGBTQ YA, especially when it’s done thoughtfully. I also thought that Evan’s relationship with his dad, while definitely not perfect, was beautiful. It was clear that Evan’s dad came from a very different culture from his own and was raised seeing LGBT people in a negative light. But despite how he struggled to understand his son, he genuinely tried to. It didn’t excuse how long it took for him to get Evan out of the abusive situation with his mom. But it offered a little hope that Evan would someday find the support that he deserved in and outside of his community. You may notice at this point that, while this book is a gay romance, I haven’t mentioned that element yet. That’s because I didn’t really like the relationship between Evan and Henry. It felt sort of imbalanced, with Evan putting all of his self-worth and confidence into how Henry saw him. While I think that’s understandable, given how little acceptance Evan had felt for being gay, I didn’t like that it wasn’t addressed. And at times, Henry seemed to be aware of that one-sidedness and used it against Evan (especially when kissing and being intimate). Maybe I’m just overanalyzing it too much, but I think that even though it was trying to be a cute gay romance book, it ended up feeling a little forced and maybe unhealthy. Recommended: While reading this book, I fell in love with the sweetness of Evan’s personality and his story. This queer romance is a pretty light read– I think I finished it in around three sittings – but it’s a brave portrayal of what it’s like to authentically love others and yourself despite the pressure to stay guarded. Two-sentence summary: Prince Sebastian of Belgium has a secret that nobody besides his seamstress Frances knows: at night, he transforms into the Parisian fashion icon Lady Crystallia. Set in turn-of-the-century Europe, this unconventional love story explores what it takes to become who you are inside and stay true to your passion. 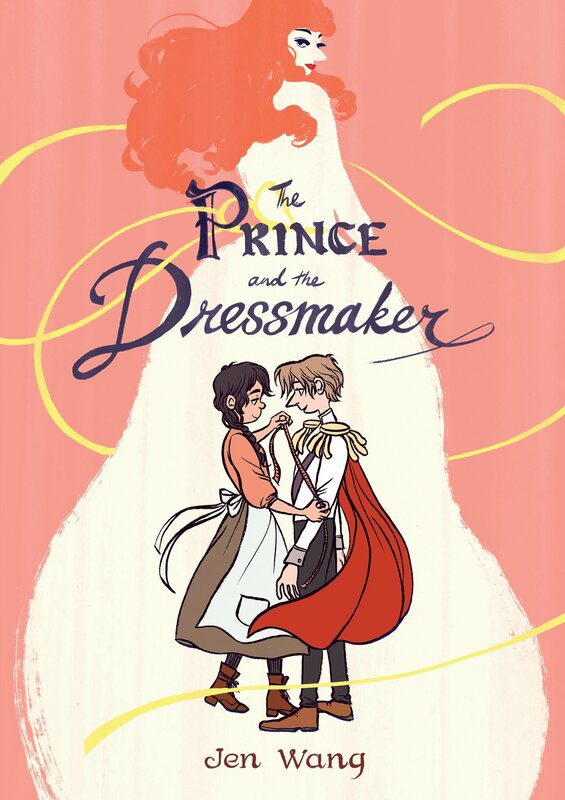 Portrayal of LGBTQ issues: The Prince and the Dressmaker features a young prince who describes himself as sometimes feeling like a boy and sometimes a girl. When he feels like a boy, he’s comfortable in his male clothes but other times, his discomfort leads him to dressing in makeup and beautiful dresses. While it’s implied that Sebastian may be genderfluid or non-binary, he seems to use male pronouns–possibly because it takes place before trans and non-binary identity were discussed in European culture. What I loved: First of all, the art style was just breathtaking. It kind of felt like a cross between a fashion designer’s notebook and a Disney movie. It’s just so vibrant and really captures the feeling of being young, falling in love and discovering who you are for the first time. Generally I’m not much of an aesthetics person but thought that the dresses Lady Crystallia wore were genuinely beautiful. But the most beautiful thing about The Prince and the Dressmaker was the love story. In the back of the book, Jen Wang notes that she’d originally written Frances and Sebastian as in their twenties. But as she wrote, she felt that writing them as teenagers brought out feelings of self-discovery and first love a lot more strongly. That, I very much agree with. In general, too, the characters were very complex and well-written–I can’t think of one who was necessarily a “villain” or didn’t change or grow over time. The way that this book explored femininity in men and possibly gender fluidity was also pretty innovative. I think that when people think of AMAB trans or non-binary people, they usually assume that they’re straight (attracted to men) and pretty fixed in their identity. 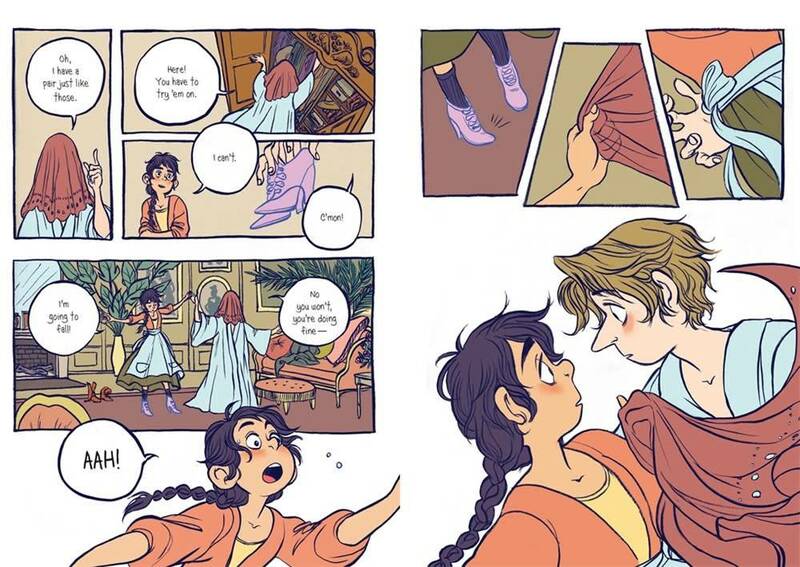 While there are many trans people who fit that description and their stories deserve to be told, I also think it’s important to portray diversity in the trans community like this graphic novel did. Recommended: Honestly, I can’t think of someone I wouldn’t recommend this to. For LGBT readers, I think this story would feel familiar and uplifting and for non-LGBT ones, I think it could be enlightening. Overall, it reminds me of The Danish Girl if it had been written with a happier ending and for younger audiences (and focused more on gender expression than necessarily gender identity). Two-sentence summary: Charlie believes that his mother was abducted by aliens, and he wants them to take him, too. But when he meets Seth, he starts to question whether Earth is really worth leaving behind. Portrayal of LGBTQ issues: Earth to Charlie isn’t a queer romance but more of a friendship between two boys who are figuring out a lot about themselves and the world around them. It does, however, feature LGBT themes and main characters. In some ways, I think stories like that are just as important as the love stories. We need more books that show queer teens that healthy friendships are just as valid as romantic relationships. And ones that have close, intimate friendships between guys that don’t necessarily lead to romance. There are many different kinds of love, and sometimes platonic love is undervalued in LGBT YA fiction. I think that is such a powerful thought and very needed in queer YA books. Charlie was such a sweet protagonist, and I loved reading about his friendships with his somewhat reclusive neighbor Geoffrey and his classmate Seth. It was one of those books that makes you want to look for the good in people you meet every day and try to get to know them better. The story itself was beautifully written and had a way of addressing deep issues in a soft, poetic way. It’s implied, for example, that Charlie’s mom suffered from mental illness throughout her life. These allusions are done in a respectful way that doesn’t feel weighted with stigma or overly heavy themes. It’s thoughtful, but also full of hope and authenticity in a way that makes Earth to Charlie feel really genuine. Recommended: This is one of those books where every character feels like they have a rich backstory and are deserving of love. It’s a wholesome, sweet and sometimes sad story. Earth to Charlie is a perfect story for those looking for a coming-of-age YA about finding friends who make you feel less lonely in this wonderful, strange world. Two-sentence summary: Vlogger, figure skater, and expert baker Eric “Bitty” Bittle begins college at Samwell University to compete on their hockey team. This volume explores his freshman and sophomore year as he becomes comfortable with who he is on and off the ice. Portrayal of LGBTQ issues: Bitty, the protagonist, is a gay college student who navigates coming out, making friends with his predominantly straight teammates, and (without spoiling anything) falling in love with another queer student. Although most of his friends and fellow hockey players are not queer, he doesn’t seem to face any discrimination or homophobia. It’s such a wholesome and optimistic take on queer identity, and I think stories as hopeful as this are just as important as LGBT YA books that explore tougher subjects. What I loved: Literally everything about this. I just… loved this book so much and can’t wait until volume two comes out this fall. Like sometimes I feel like YA novels about college students should be branded as new adult books but I don’t even care with this one. It was so good that everyone needs to read it. The relationships that develop between Bitty and his teammates is done so well. We follow the Samwell University hockey team throughout the course of two years and each member is so lovable and unique. And it’s adorable to see how Bitty transforms from an uncertain, nervous freshman into a sophomore who knows he belongs on the team and feels confident both during games and hanging out with his teammates. And while the story is on the whole optimistic, the deeper issues that some characters face (like implied alcoholism and depression) are portrayed tastefully. And the art style fits the story so well! 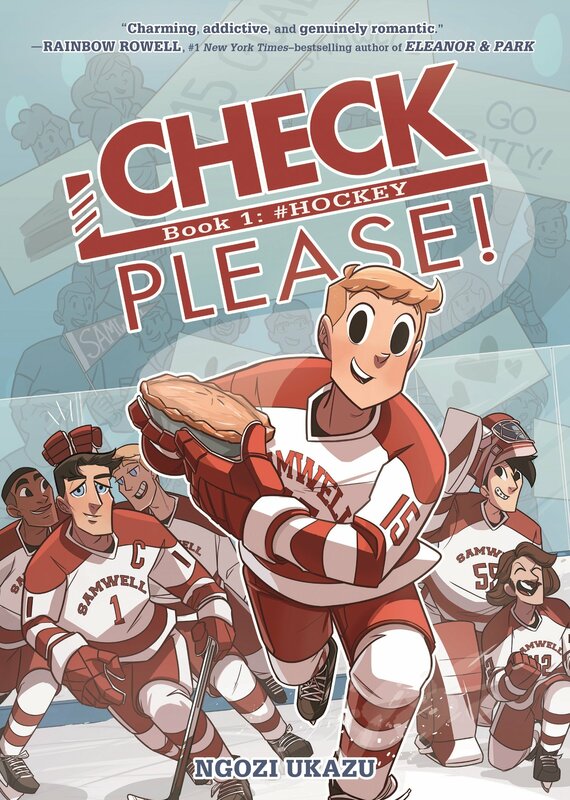 It’s vibrant and beautiful and everything that Bitty bakes looks so delicious, his hockey bros are so lucky. I feel like this was an ideal portrait of “bro culture” in the idea that straight and queer men can be friends without falling into close-minded stereotypes. Everything about this queer romance defies expectations but is done so in a way that makes the characters and story itself feel alive. Recommended: Honestly, I would recommend this to anyone looking for a sweet, wholesome story. The only regret about reading this that I have is that I didn’t get to it sooner. If you want something cute and gay, you need Check, Please! in your life! Two-sentence summary: This sequel to Openly Straight follows Ben Carver during what should be the best year of his life: he’s captain of the baseball team, he won a prestegious scholarship, and he cut things off with his maybe-crush Rafe. But when his rekindled feelings for Rafe interfere with his straight identity, he must confront what it means to be authentic. Portrayal of LGBTQ issues: This book features a protagonist who identifies as straight but falls in love with a gay cis man (Rafe). He feels that he’s physically attracted to women with Rafe being the only exception. It’s unclear whether Rafe really is the only exception or whether he’s in the process of understanding his sexual orientation. Honestly Ben also has a side character who comes out as genderfluid and another character who’s implied to be asexual. What I loved: Throughout the book, Ben explores what masculinity is and what it means to be a man. The crux of his internal conflict comes through his attraction to Rafe, but he also feels pressure from his position as the baseball team captain and the son of a conservative farmer. I liked how Ben’s ideology of what a man is shifts in a way that’s gradual but also helps him incorporate masculinity in a healthier way that seems natural for his character. And I thought it was important to note how ben calls out others who express toxic masculinity as Ben’s definition of manhood changes. Also, the side plot about Ben and Rafe’s friend who comes out as genderfluid was an unexpected but also beautiful development! I almost wished that Bill Konigsberg had written an entire companion novel about them just because they seemed like such an interesting character. In general, it seems like so many more YA books feature genderfluid and non-binary characters and I love seeing greater diversity in queer representation. Recommended: I thought this was a sweet and wholesome follow-up to Openly Straight. To be honest, I actually enjoyed Honestly Ben a little more. But I would recommend that you read Openly Straight first because understanding the relationship between Ben and Rafe is important context for the sequel.